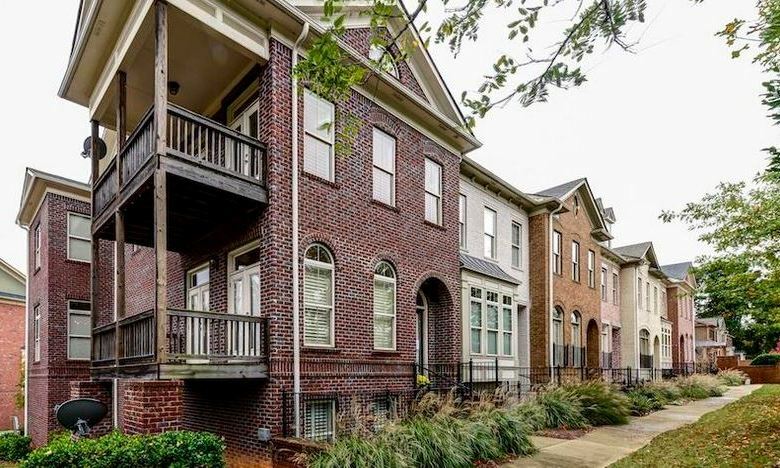 Vintage Square is a gated community of 132 Luxury Townhomes in Smyrna 30080, built in the traditional style. Most townhomes have interior features such as 10-foot ceilings, hardwood floors throughout, well appointed gourmet kitchen with granite counter-tops, and stainless appliances. Amenities include a clubhouse and pool. Townhomes built from 2007 to 2014 and Builders include Vintage Homes LLC., Red Oak Construction and Lennar Homes. Graced by a historic landmark, an old maple tree, Vintage Square offers a lighted gated entrance, a beautiful clubhouse for community gatherings and is surrounded by rich and colorful landscaping. Greenspace allows for iron benches and lamp lit sidewalks accent the narrow little streets where residents can take strolls and gather on the front porches with neighbors. Directions: Take I-285 to Paces Ferry Road North, Right on Atlanta Rd, Left into Community after Campbell Road street light. Wonderful location, only minutes from Vinings, Buckhead, I-75 & I-285. 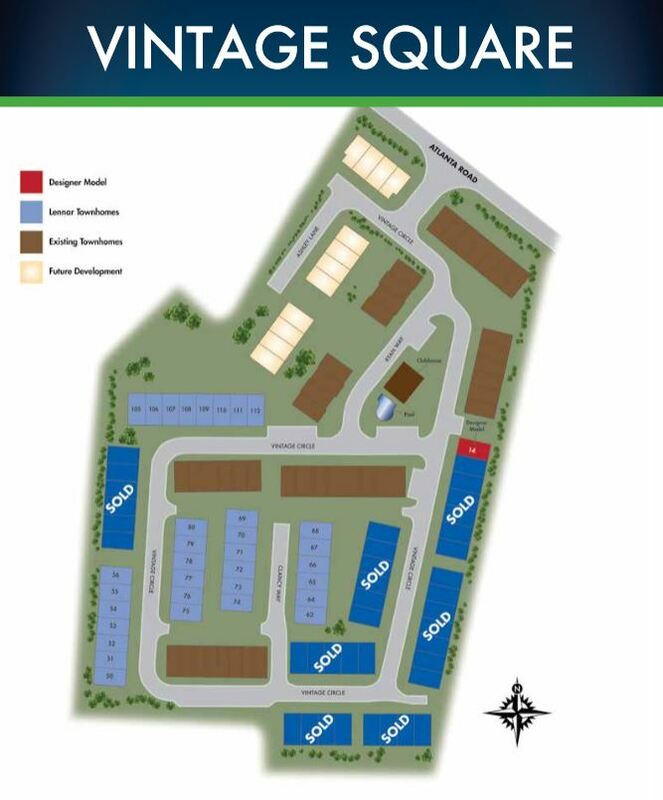 Shopping, dining, parks and recreation minutes away.